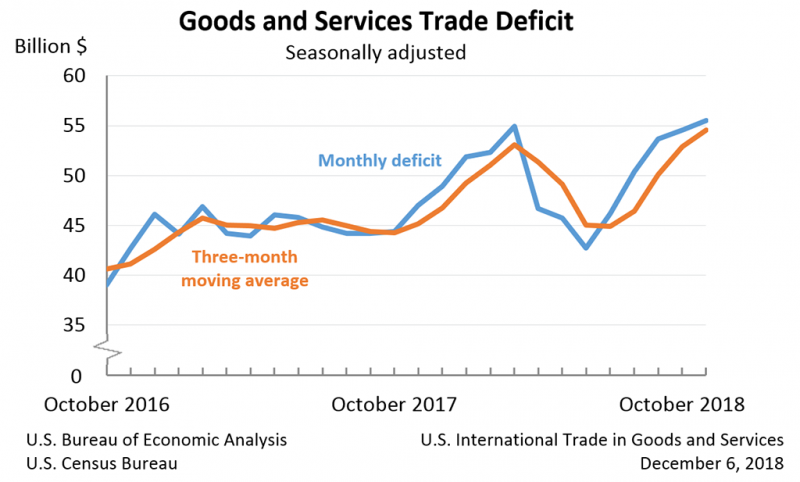 The U.S. monthly international trade deficit increased in October 2018 according to the U.S. Bureau of Economic Analysis and the U.S. Census Bureau. The deficit increased from $54.6 billion in September (revised) to $55.5 billion in October, as exports decreased and imports increased. Where, after all, is the major constituency supporting Donald Trump’s tariffs and threats to exit international agreements? Big business hates the prospect of a trade war, and stocks plunge whenever that prospect becomes more likely. Labor hasn’t rallied behind Trumpist protectionism either. Meanwhile, the percentage of Americans believing that foreign trade is good for the economy is near a record high. Кстати, да. Есть вообще хоть кто-нибудь неангажированный, кто поддерживает всё это безумие?